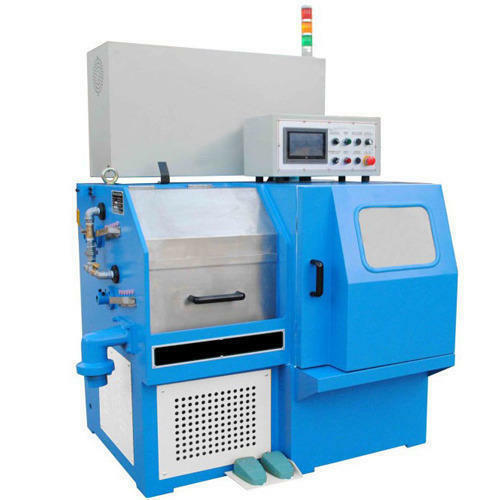 Our company is amid the successful business entities engrossed in presenting forth an admirable array of Copper Wire Drawing Machine. We “Balaji Engineering Equipments” are a Sole Proprietorship Firm, affianced in Manufacturing, Wholesaling, and Retailing a broad assortment of Hammering Machine, Wire Drawing Machine, Chain Faceting Machine, etc. To manage these divided units in a streamlined manner, we have selected a team of knowledgeable and trained professionals. Under the fruitful direction of our Mentor “Mr. Pradeep Panchal (Proprietor)”, we have been able to gain the trust of the customers. Established in the year 2000 at Delhi, (India), we are backed by robust and hi-tech infrastructural base.